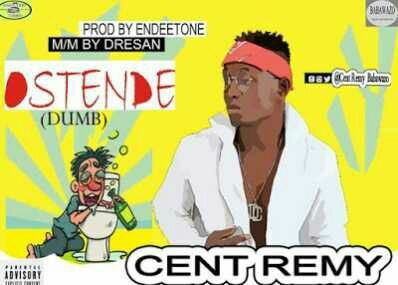 The most Anticipated Shaku Shaku song Titled OSTENDE meaning (Dumb ) has drop！and this New slangwas formed by Cent Remy，This word OSTENDE is used for those that don’t know whatsup, The Hot Jam beat is produced by the young talented producer Endeetone，which was mix and mastered by Dresan. Cent Remy Babawazo，the fast Rising Act in Alimosho has been cooking this jam For A while and it is Ready to serve，You can serve yourself by Downloading The Hit，Dj’s will Love this on their Playlist Cuz it is a Banger!! !